Revenue Protection-Insurance coverage that provides protection against production loss or price decline or increase or a combination of both. Yield Protection-insurance coverage that only provides protection against a production loss for crops for which revenue protection is available but was not elected. Commodity Exchange Price Provisions(CEPP)-A part of the policy that is used for all crops for which revenue protection is availble, regardless of whether the producer elects revenue protection or yield protection for such crops. This document will include the info necesary to derive the projected price and the harvest price for the insured crop, as applicable. Projected Price-a price determined in accordance with the Commodity Exchange Price Provisions and used for all crops for which revenue protection is available, regardless of whether the producer elects to obtain revenue protection or yield protection for such crops. Harvest price-a price determined in accordance with the Commodity Exchange Price Provisions and used to value production to count for revenue protection. Revenue Protection Guarantee(per acre)-For revenue protecton only, the production guarantee (per acre), times the greater of the projected price or the harvest price. If the harvest price exclusion option is elected, the production guarantee (per acre) is only multiplied by the projected price. Yield Protecton Guarantee (per acre)-when yield protection is selected for a crop that has revenue protection available, the production gurantee times he projected price. The following is a brief description of the changes to the Common Crop Insurance Policy Basic Provisions that will be effective for the 2011 crop year for all crops with a 2011 crop year contract change date on or after April 30, 2010, and for the 2012 crop year for all crops with a 2011 crop year contract change date prior to April 30, 2010. Please refer to the Basic Provisions for complete information. Provisions have been revised to provide either revenue protection or yield protection for barley, canola and rapeseed, corn, cotton, grain sorghum, rice, soybeans, sunflowers, and wheat. Revenue protection provides protection against loss of revenue caused by price changes or low yields or a combination of both (for corn silage and rapeseed, protection is only provided for production losses). Yield protection provides protection for production losses only. Crop Revenue Coverage (CRC), Income Protection (IP), Indexed Income Protection (IIP), Revenue Assurance (RA), and Actual Production History (APH) plans of insurance previously available have been discontinued for these crops. A new policyholder must select either revenue protection or yield protection for these crops on their application for insurance. A new application is not required for carry-over policyholders. Carry-over policyholders who insured these crops under any of the discontinued revenue plans of insurance will automatically have revenue protection for the 2011 crop year. Carry-over policyholders who insured these crops under the APH plan of insurance will automatically have yield protection for the 2011 crop year. However, if a carry-over policyholder wishes to change or cancel the coverage that is automatically provided, the change must be made by the sales closing date or the policy must be canceled by the cancellation date. For all other crops covered under these Basic Provisions, the plans of insurance previously available will continue to be available. For crops for which revenue protection is available, a projected price and a harvest price will be determined in accordance with the Commodity Exchange Price Provisions (CEPP). The CEPP includes the information necessary to derive the projected price and the harvest price including the applicable Commodity Exchange and the relevant futures trading days, if applicable. The CEPP will be available for public inspection on RMA’s Web site at http://www.rma.usda.gov/, or a successor Web site, by the contract change date and will also be available in the agent’s office. Crops for which revenue protection is not available will continue to use a price election or dollar amount of insurance, as applicable. For yield protection, the yield protection guarantee will be determined by multiplying the production guarantee by the projected price. The projected price is also used to determine the premium, any replant payment or prevented planting payment, and to value the production to count. The harvest price is not used for yield protection. For revenue protection, the revenue protection guarantee will be determined by multiplying the production guarantee by the greater of the projected price or the harvest price (if the harvest price exclusion is in effect, the revenue protection guarantee will be determined by multiplying the production guarantee by the projected price). The projected price is used to determine the premium, and any replant payment or prevented planting payment. The harvest price is used to value the production to count. Written agreements will be available under all plans of insurance. However, a written agreement cannot be used to establish revenue protection for a crop where the actuarial documents do not provide coverage for the crop in that State. An enterprise unit will be available for yield protection and revenue protection. Enterprise units will be available for other plans of insurance only if provided for in the Special Provisions. A whole-farm unit will be available for revenue protection unless limited by the Special Provisions. A whole-farm unit will be available for other plans of insurance only if provided for in the Special Provisions. Hail and fire coverage may be excluded under all plans of insurance. However, if the policyholder elected a whole-farm unit, hail and fire coverage may only be excluded if allowed by the Special Provisions. Revised the definition of “assignment of indemnity” to specify producers may only assign their right to an indemnity to creditors or other persons to whom they have a financial debt or other pecuniary obligation. The previous definition allowed producers to assign their right to an indemnity to any party of their choice. Revised the definition of “average yield” to clarify which assigned yields are included when calculating the “average yield.” Only the assigned yields determined in accordance with sections 3(f)(1) (failure to provide production report), 3(h)(1) (excessive yields), and 3(i) (second crop planted without double-cropping history on prevented planting acreage) are included. Revised the definition of “catastrophic risk protection” to remove the provision that specified catastrophic risk protection is required before the producer may qualify for certain other USDA program benefits unless they execute a waiver of any eligibility for emergency crop loss assistance in connection with the crop. Also added a provision to specify catastrophic risk protection is not available with revenue protection. Revised the definition of “claim for indemnity” to specify it is a form that contains the information necessary to pay the indemnity as specified in the applicable FCIC issued procedures, and complies with the requirements in section 14. Removed the information regarding when the claim must be submitted because this information is already contained in section 14. Revised the definition of “delinquent debt” to specify it will have the same meaning as the term contained in 7 CFR part 400, subpart U. Revised the definition of “enterprise unit” by removing the qualification requirements. These provisions are included in section 34. The definition requires all insurable acreage of the same insured crop in the county insured to be included in one enterprise unit; therefore, all fall or winter and spring types of a crop will be included in one enterprise unit. Revised the definitions of “generally recognized” and “good farming practices” by removing the phrase “the organic agricultural industry” and adding the phrase “organic agricultural experts” in its place. Revised the definition of “liability” to specify it is the producer’s total amount of insurance, value of the production guarantee, or revenue protection guarantee for the unit determined in accordance with the Settlement of Claim provisions of the applicable Crop Provisions. Revised the definition of “limited resource farmer” to specify it has the same meaning as the term defined by USDA at . Revised the definition of “policy” by adding the phrase “the Commodity Exchange Price Provisions, if applicable,” since these provisions are part of the policy. Revised the definition of “prevented planting” for clarification. Also added language specifying failure to plant because of uninsured causes such as lack of proper equipment or labor to plant acreage, or use of a particular production method, is not considered prevented planting. Revised the definition of “price election” to specify that a price election is not applicable for crops for which revenue protection is available. Revised the definition of “production report” to specify supporting records must be in accordance with FCIC approved procedures. Revised the definition of “substantial beneficial interest” to refer to “the applicable State dissolution of marriage laws” rather than “State law” to determine whether the spouse is considered to have a substantial beneficial interest in the insured or applicant. Revised the definition of “void” by removing the phrase “concealment, fraud or misrepresentation (see section 27) because a policy may be void for reasons other than those contained in section 27.
whole-farm unit; therefore, all fall or winter and spring types of a crop will be included in one whole-farm unit. Section 2(b)(1) – Clarified that an individual applicant operating as a business may report an Employer Identification Number (EIN), but must also report their Social Security Number (SSN). Section 2(b)(4) – Revised the provisions to include references to revenue protection, yield protection and percentage of projected price. Section 2(b)(5) – Added provisions specifying the consequences when an applicant provides an incorrect identification number. The policy will be void if an incorrect SSN or EIN is not corrected, the producer corrects the SSN or EIN but cannot prove the error was inadvertent, it is determined the incorrect number would have allowed the producer to obtain disproportionate benefits under the crop insurance program, or the producer is determined to be ineligible for insurance or could avoid an obligation or requirement under any State or Federal law. Section 2(b)(6) – Revised the provisions to specify the substantial beneficial interest (SBI) of an individual’s spouse is presumed to be 50 percent. The provisions also specify a policy will be void if the identification number of a person with a SBI was omitted and is not provided, is incorrect and is not corrected, is corrected but there is no proof the error was inadvertent, it is determined the incorrect number would have allowed the producer to obtain disproportionate benefits under the crop insurance program, or the SBI holder is determined to be ineligible for insurance or it is determined there is an attempt to avoid an obligation or requirement under any State or Federal law. Section 2(b)(7) – Revised the provisions to specify if the policy is void the producer will be required to pay an amount equal to 20 percent of the premium that the producer would otherwise be required to pay. Section 2(b)(9) – Revised the provisions to specify if SBI holders change after the sales closing date, the application must be revised by the sales closing date for next crop year. However, if the information changes less than 30 days before the sales closing date for the current crop year, the application must be revised by the sales closing date for the next crop year. Section 2(b)(10) – Revised the provisions to specify if the producer or a person with a SBI in the producer is not eligible to obtain an SSN or an EIN, the producer must request an assigned number from the insurance provider for the purposes of the policy. If a number cannot be provided for someone with a SBI in the producer, the amount of coverage for all crops on the application will be reduced proportionately by the percentage interest in the producer of such persons. Section 2(f)(2)(i)(A) and (B) – Revised the provisions to specify for policies for which the sales closing date is prior to the termination date, the policy will terminate for debt for the current crop year even if insurance attached prior to the termination date. Such termination will be considered effective as of the sales closing date and no insurance will be considered to have attached for the crop year. Section 2(f)(2)(i)(D) – Revised to clarify the crop year for which a policy will be terminated for failure to make a payment under any written payment agreement and added an example. Section 2(g)(1) – Revised the provisions to specify if a married insured dies, disappears, or is judicially declared incompetent, the policy will automatically convert to the name of the spouse if the spouse was listed as having a SBI in the insured and has a share of the crop. Sections 2(g)(2) and (3) – Revised the provisions to specify if a partner, member, shareholder, etc., of an insured entity, dies, disappears, or is judicially declared incompetent more than 30 days before the cancellation date and such event automatically dissolves the entity, the policy is automatically canceled as of the cancellation date and a new application must be submitted. If such an event occurs 30 days or less before the cancellation date or after the cancellation date, the policy will continue in effect through the crop year, unless it is canceled by the cancellation date, and will be automatically canceled as of the cancellation date immediately following the end of the insurance period for the crop year. Section 2(g)(4) – Revised the provisions to specify if an insured entity is dissolved for reasons other than death, disappearance or judicially declared incompetence, and such event occurs before the cancellation date, the policy is automatically canceled as of the cancellation date. If such event occurs on or after the cancellation date, the policy will continue in effect through the crop year immediately following the cancellation date and be automatically canceled as of the cancellation date immediately following the end of the insurance period for the crop year. Section 2(g)(5) – Added a provision requiring a remaining member of an insured person or a beneficiary to advise the insurance provider of a death, disappearance, judicial incompetence, or other event that causes dissolution of an entity. Section 3 – Revised and reformatted this section to include references to yield protection, revenue protection, and other plans of insurance. Section 3(c)(2) – Added a provision specifying the producer’s projected price and harvest price for revenue protection will be 100 percent of the projected price and harvest price issued by FCIC. Section 3(c)(5) – Added provisions specifying what occurs when the projected price or harvest price cannot be calculated in accordance with the CEPP. Section 4 – Revised the provisions to include references to the CEPP. Also, clarified that the producer may elect to receive documents and changes electronically, if available from the insurance provider. Section 6(c)(1) – Revised the provisions to specify the acreage report must include the last date the crop was planted for all acreage in the unit planted by the final planting date and the date of planting and the amount of acreage planted per day for acreage planted during the late planting period. If the producer does not report the number of acres planted in the late planting period on a daily basis, all acres planted in the late planting period will be presumed to have been planted on the last day planting took place in the late planting period. Section 6(c)(5) – Added provisions regarding inclusion of a land identifier (e.g. legal description, FSA farm serial number or common land unit number, etc.) on the acreage report. Section 6(d)(3) – Revised provisions regarding acreage measurement requests. Section 6(g) – Removed the provisions that provided for a misreporting information factor when a producer misreported liability in excess of 10 percent of the correct liability. Also added provisions to specify if the producer’s share is misreported and the share is under-reported, any claim will be determined using the share the producer reported, or, if the share is over-reported, any claim will be determined using the share the insurance provider determines to be correct. Section 9(a) – Revised and reformatted the provisions. Added provisions to specify that insurable acreage must have been planted to an agricultural commodity other than a cover, hay , or forage crop (except corn or sorghum silage), unless insurance is for a hay or forage crop. Section 10 – Revised and reformatted the provisions. Added provisions to clarify when the acreage or interest of the spouse, child, or household member will be included in the insured’s share. If it is determined that the spouse, child, or other member of the household has a separate policy but does not have a separate farming operation, the spouse’s, child’s, or other person’s policy will be void and no premium will be due or no indemnity paid for those policies. Section 11 – Clarified provisions regarding the end of the insurance period when insurance ends on a portion of a unit. Section 12(a) – Added provisions to specify any act by any person that affects the yield, quality or price of the insured crop (e.g. chemical drift, fire, terrorism, etc.) is not an insured cause of loss. Section 12(d) – Added provisions to clarify the inability to prepare the land for irrigation, using the producer’s established irrigation method, is a covered cause of loss if the inability is due to an insured cause of loss specified in the Crop Provisions. Section 13(a) – Added provisions to specify if the crops to be replanted are in a whole-farm unit, the 20 acres or 20 percent requirement is to be applied separately to each crop to be replanted in the whole-farm unit. Section 13(c) – Added provisions to specify the Special Provisions may indicate the amount per acre of a replant payment. Also added provisions to specify the Crop Provisions or Special Provisions may indicate actual costs will not be considered when determining the amount of a replant payment. Section 14 – Reformatted the provisions to improve readability and eliminate duplication. Section 14(b) – Clarified that notice of damage or loss of production is required regardless of whether the producer has harvested the crop. Added provisions to specify for revenue protection, if there is no damage or loss of production, the producer must give notice of a revenue loss not later than 45 days after the latest date the last harvest price is released for any crop in the unit. Section 14(e) – Added provisions specifying that for revenue protection, a claim must be submitted declaring the amount of the producer’s loss by the later of 60 days after the latest date the harvest price is released for any crop in the unit or 60 days after the end of the insurance period. Section 14(j) – Added a provision allowing preliminary indemnity payments to be made for revenue protection prior to the release of the harvest price, if the producer has not elected the harvest price exclusion. Section 15(b)(1) – Added provisions to specify if the producer fails to provide verifiable records of harvested production, no indemnity will be paid and the producer will be required to return any previously paid indemnity for the unit that was based on an appraised amount of production. 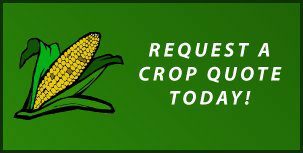 Section 15(i) – Added provisions regarding record requirements for double cropping. When a producer uses their own records of double cropping, the double cropping exemption may be used for any acreage in the producer’s farming operation. However, if another producer’s records are used, the exemption can only be used for the specific acreage that was previously double cropped. These same changes are included in section 17(f)(4). Section 17(a)(1) – Moved the provisions regarding “failure to plant when other producers in the area were planting” from this section to section 17(d)(2). These provisions were moved to section 17(d)(2) so they only apply in cases where the cause of loss is not drought related. In a drought situation, some producers may elect to plant anticipating the return of normal precipitation, even though all requirements for a prevented planting payment (extended period of drought, insufficient soil moisture, etc.) have been met. Section 17(b)(4) – Revised the provisions to specify a producer cannot increase their elected or assigned prevented planting coverage level if a cause of loss that could prevent planting (even though it is not known whether such cause will actually prevent planting) occurred during the prevented planting insurance period and prior to the time the increase was requested. Section 17(e) – Reformatted the provisions to improve readability. Section 17(e)(1)(i) and (ii) – Clarified that a producer will be considered to have planted a crop in one of the last four crop years if their APH database contains actual planted acres. Section 17(e)(1)(i)(C) – Added provisions regarding increasing eligible irrigated acres when a producer adds irrigation facilities to their own acreage or obtains additional irrigated acreage. Section 17(e)(1)(ii)(A)(2) – Added provisions allowing a producer to submit an intended acreage report within 10 days of obtaining acreage in a county if the producer did not have any acreage in the county on or before the sales closing date. Section 17(f)(1) – Added provisions specifying for a whole-farm unit, the rule requiring 20 acres or 20 percent of the insurable acreage be prevented from being planted is applied separately for each crop. Section 17(f)(4)(ii) – Revised provisions to require double cropping records of the crop that was prevented from being planted. The previous provisions required double cropping records of the first insured crop. Section 17(f)(6) – Added provisions to clarify that cover plants seeded, transplanted, or that volunteer more than 12 months prior to the final planting date will be considered pasture or forage that is in place. Section 17(f)(9) – Clarified provisions regarding proof of inputs to produce the insured crop. insured crop, but there are remaining eligible acres for a crop with a higher prevented planting payment amount. Section 18(c)(3) and (4) – Added provisions indicating if a written agreement is for a county where revenue protection is not available for the crop, but revenue protection is available for the crop in the State, the written agreement will contain the information used to establish the projected price and harvest price, as applicable. If revenue protection is not available in the State, but is available in another State, the written agreement will be for yield protection only and will contain the information needed to determine the projected price. Section 18(i) – Added provisions specifying the written agreement will be denied unless the insurance provider accepts the written agreement offer. Section 18(o) – Added provisions to clarify when producers may obtain administrative review or appeal when they disagree with determinations made by FCIC regarding written agreements. Section 20(d) – Clarified provisions to specify insurance providers will make decisions regarding what constitutes a good farming practice. If a producer disagrees with the insurance provider’s decision, they must request a determination from FCIC. If the determination is adverse to the producer, the producer may request reconsideration or file suit against FCIC. The provisions have also been changed to allow a producer to file suit against FCIC without first seeking reconsideration of FCIC’s adverse determination. Section 20(k) – Moved and clarified provisions previously contained in section 20(a)(1)(iii) regarding any determination made by FCIC that is a matter of general applicability is not subject to administrative review or appeal. Also added provisions stating the producer must request a determination of non-appealability from the Director of the National Appeals Division before seeking judicial review. Section 21 – Revised the example to clarify the length of time production records must be kept. Also added provisions to specify yields that are knowingly misreported may be adjusted, regardless of whether the record retention period has expired. Section 27(b) – Revised provisions to specify the producer will still be required to pay 20 percent of the premium that the producer would otherwise be required to pay in the event the policy has been voided. Section 29 – Reformatted the provisions to improve readability. Revised the provisions to specify the producer may assign the producer’s right to an indemnity for the crop year only to creditors or other persons to whom the producer has a financial debt or other pecuniary obligation. The producer may be required to provide proof of the debt or other pecuniary obligation before the insurance provider will accept the assignment of indemnity. Each assignment form may contain more than one creditor or other person to whom the producer has a financial debt or other pecuniary obligation. The insurance provider will not be liable for any financial debt or other pecuniary obligation if the producer failed to include such lienholder on the assignment form nor to pay any amount greater than the total amount of indemnity owed under the policy. The assignee may submit the claim for indemnity not later than 30 days after the period for filing a claim has expired. Section 30 – Removed the provisions and reserved the section because there is no instance where the producer would have a right of subrogation against a third person where the loss would be covered under the policy. Section 34(a)(1) and (2) – Added provisions to specify enterprise units may be elected only for crops for which revenue protection is available or if allowed by the Special Provisions. Also added provisions to specify whole-farm units may be elected only for crops for which revenue protection is elected and is in effect unless limited by the Special Provisions or if allowed by the Special Provisions. Section 34(a)(3)(i) – Added provisions to allow a producer to elect an enterprise or whole-farm unit until the spring sales closing date in counties with fall or winter and spring sales closing dates, provided the producer does not have any insured fall planted acreage of the insured crop. Section 34(a)(4)(i) – Revised the enterprise unit provisions to require at least two sections, section equivalents, FSA farm serial numbers, or units established by written agreement, whichever are the basis for optional units where the insured acreage is located or are applicable to the insured acreage. Added provisions to allow a combination of two or more sections, section equivalents, or FSA farm serial numbers, if more than one of these are the basis for optional units where the insured acreage is located or are applicable to the insured acreage (for example, a portion of the acreage is located in an area where sections are the basis for optional units and another portion of the acreage is located in an area where FSA farm serial numbers are the basis for optional units). Also added provisions to allow one section, section equivalent, or FSA farm serial number to qualify for an enterprise unit, based on whichever type of parcel is the basis for optional units where the insured acreage is located, provided there are at least 660 planted acres of the insured crop in such section, section equivalent, or FSA farm serial number. Section 34(a)(4)(ii) – Revised the provisions to specify that at least two of the sections, section equivalents, FSA farm serial numbers, or units established by written agreement, whichever are the basis for optional units where the insured acreage is located or are applicable to the insured acreage, must each have planted acreage that constitutes at least the lesser of 20 acres or 20 percent of the insured crop acreage in the enterprise unit. Also added provisions that if there is planted acreage in more than two sections, section equivalents, FSA farm serial numbers or units established by written agreement, these parcels can be aggregated to form at least two parcels to meet this requirement. Section 34(a)(4)(vii) – Revised the provisions to specify that if it is discovered on or before the acreage reporting date that the producer failed to qualify for an enterprise unit, basic or optional units will apply based on whichever unit structure the producer reported on their acreage report and qualifies for. If such discovery was made after the acreage reporting date, basic units will be assigned. Similar provisions were added to section 34(a)(5)(v) regarding unit structure that will apply when a producer fails to qualify for a whole-farm unit. Section 34(a)(5)(i)(C) – Added provisions to specify planted acreage of at least two of the insured crops in a whole-farm unit must each constitute 10 percent or more of the total planted acreage liability of all insured crops in the whole-farm unit. This insurance policy is reinsured by the Federal Crop Insurance Corporation (FCIC) under the provisions of the Federal Crop Insurance Act (Act) (7 U.S.C. 1501 et seq.). All provisions of the policy and rights and responsibilities of the parties are specifically subject to the Act. The provisions of the policy may not be waived or varied in any way by us, our insurance agent or any other contractor or employee of ours or any employee of USDA unless the policy specifically authorizes a waiver or modification by written agreement. We will use the procedures (handbooks, manuals, memoranda and bulletins), as issued by FCIC and published on RMA’s Web site at http://www.rma.usda.gov/ or a successor Web site, in the administration of this policy, including the adjustment of any loss or claim submitted hereunder. In the event that we cannot pay your loss because we are insolvent or are otherwise unable to perform our duties under our reinsurance agreement with FCIC, your claim will be settled in accordance with the provisions of this policy and FCIC will be responsible for any amounts owed. No state guarantee fund will be liable for your loss. Throughout this policy, “you” and “your” refer to the named insured shown on the accepted application and “we,” “us,” and “our” refer to the insurance company providing insurance. Unless the context indicates otherwise, use of the plural form of a word includes the singular and use of the singular form of the word includes the plural. AGREEMENT TO INSURE: In return for the payment of the premium, and subject to all of the provisions of this policy, we agree with you to provide the insurance as stated in this policy. If there is a conflict between the Act, the regulations published at 7 CFR chapter IV, and the procedures as issued by FCIC, the order of priority is: (1) the Act; (2) the regulations; and (3) the procedures as issued by FCIC, with (1) controlling (2), etc. If there is a conflict between the policy provisions published at 7 CFR part 457 and the administrative regulations published at 7 CFR part 400, the policy provisions published at 7 CFR part 457 control. If a conflict exists among the policy provisions, the order of priority is: (1) the Catastrophic Risk Protection Endorsement, as applicable; (2) the Special Provisions; (3) the Commodity Exchange Price Provisions, as applicable; (4) the Crop Provisions; and (5) these Basic Provisions, with (1) controlling (2), etc.